Thank you EcoFarms for sponsoring this vegetable gardening post. All opinions are mine. #ecofarmsonline. 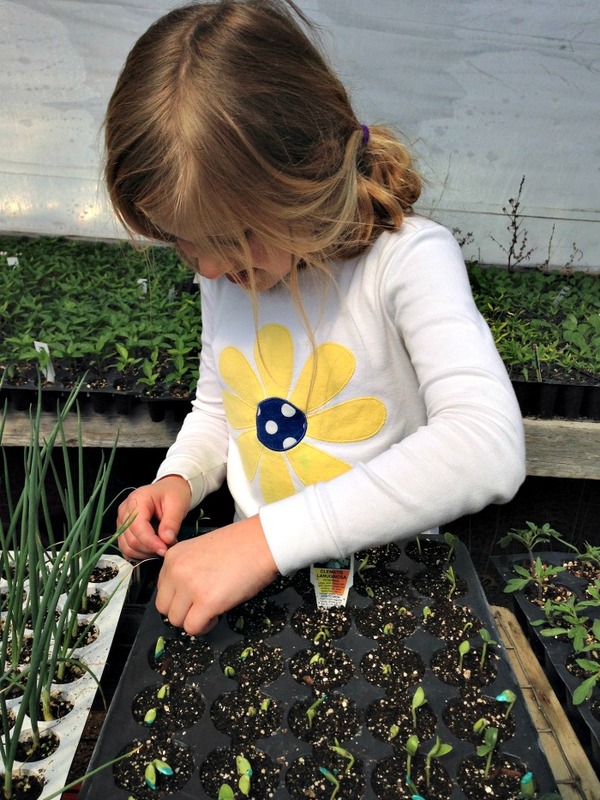 It’s time to learn about growing heirloom seeds! Heirloom vegetable seeds have so much going for them. They end up giving you plants that you can’t go to a big box store and buy, they cost less than hybrid vegetables and you can save your own seeds from one year to the next. 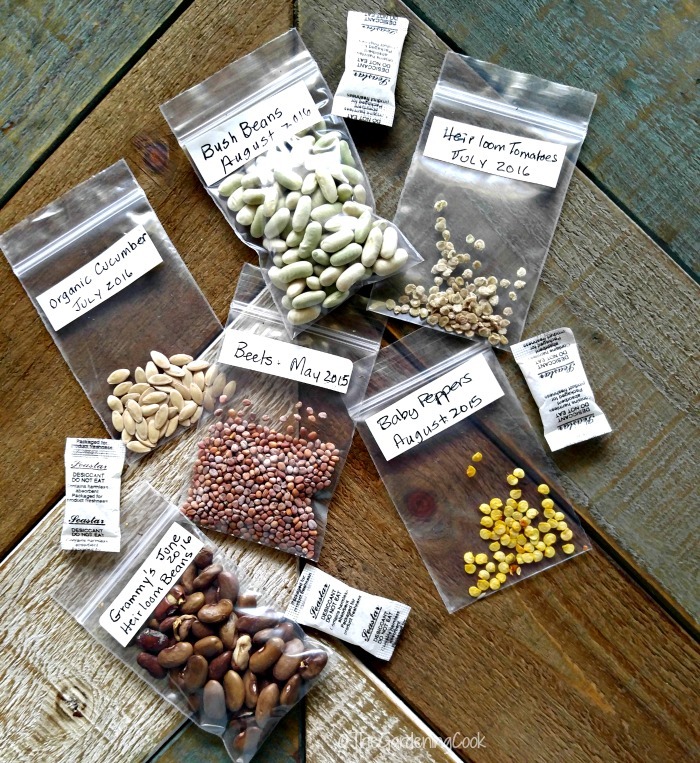 Have you ever tried growing heirloom seeds? Readers of my blog know that my husband and I spend many weekends in antique and consignment shops. We do this not just because we are drawn to the workmanship and style of older furniture and decor items, but also because it makes us nostalgic. The same is true for heirloom seeds. I have seeds that originated from plants in my great grandmother’s garden in the late 1800s. These seeds were passed down from generation to generation in my family, and they still produce the same vegetable, year after year! 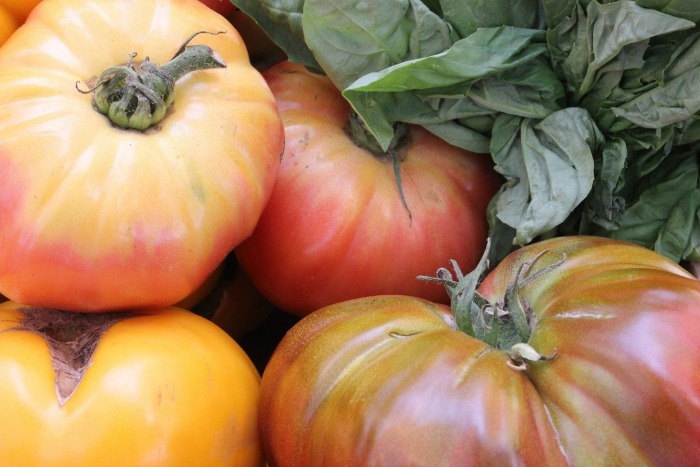 What is an heirloom vegetable? The answer to this question varies, depending on who you ask. But generally, heirloom vegetables are at least 50 years old, with many being first grown before World War II. Often seeds are handed down from one generation to the next, as was the case with my family. Heirloom vegetables are always open pollinated. This means that they are pollinated by insects or wind without the help of humans. They also grow true to the parent plant from one year to the next. Hybrid vegetables, on the other hand, are created when breeders cross-pollinate two different varieties of a plant, trying to get a hybrid offspring. This plant will have the best traits of both parent plants, which sometimes makes them easier to grow. 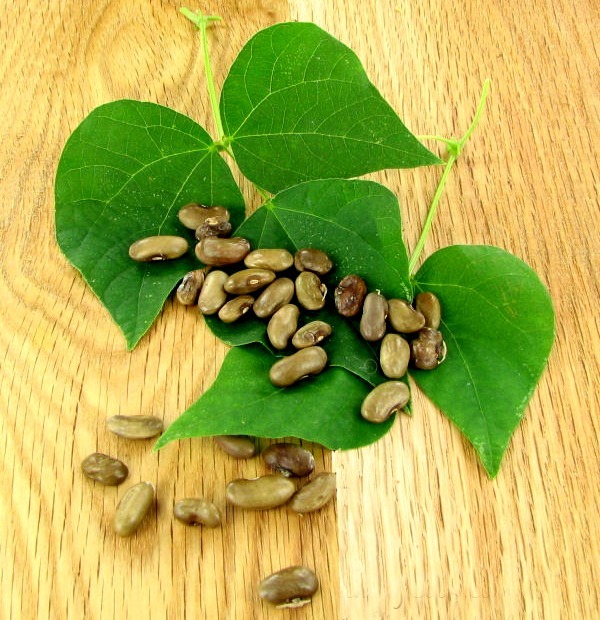 Hybrid seed are generally, (but not always,) those that you see for sale in large big box stores. Heirloom vegetables often have some of the most descriptive names. 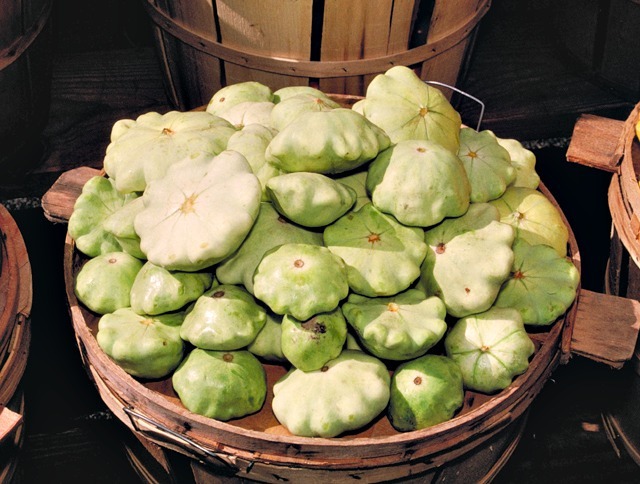 We have all heard of Pattypan squash (also known as Petit pan squash,) and probably grow it as a hybrid. The scalloped edges of this pretty fruit are a delight. But how many of us know that the pattypan squash was grown by Native American tribes in the Eastern part of the USA long before it started appearing in seed catalogs? The word “squash” comes from a Massachusetts Native American word, “askutasquash,” which means “eaten raw or uncooked.” Why Grow Heirloom Vegetables? Most of the reasons for growing heirloom vegetables are nostalgic or practical. After all, what is not to like about growing plants from your great grandmother’s seeds, after all is said and done? 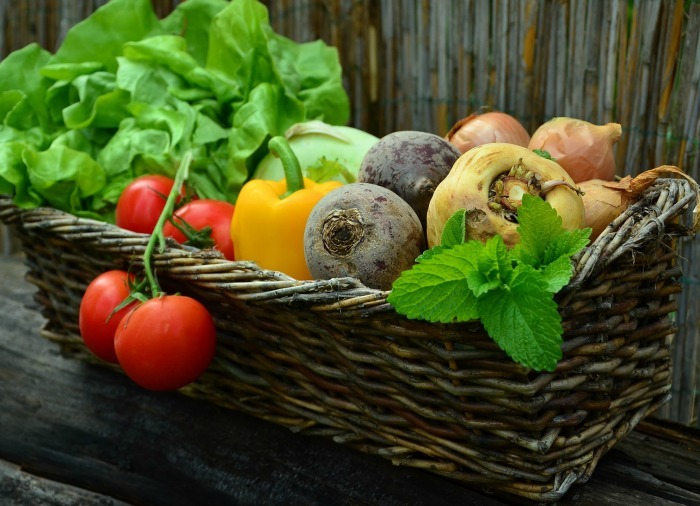 Heirloom vegetables are also very hardy when grown in the same area as the parent plant and have developed pest and disease resistance over quite a large number of years. Take a step back in time by growing heirloom seeds. Heirloom seeds are also readily available just by saving seeds from the vegetables that you grow. I save seeds from my great grandmother’s beans every year and get a wonderful crop year after year. And the best reason for growing heirloom vegetables? Why they just taste better! There is nothing quite like biting into the flesh of a heirloom tomato. It makes one wonder if they things the grow in the grocery stores are related at all. They may not all be perfectly formed like store tomatoes seem to be, but they beat the store bought every time in the taste department. 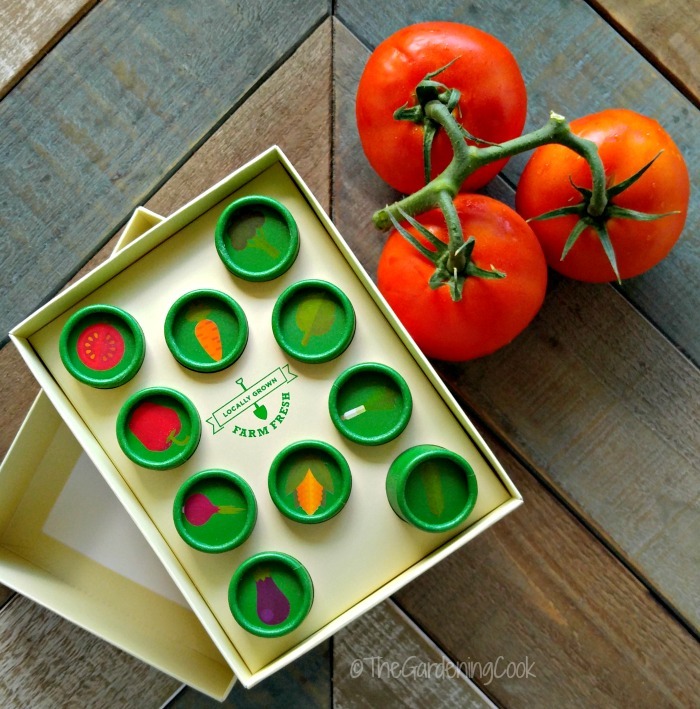 I was delighted recently, when I was contacted by EcoFarms to see if I would feature one of their Heirloom vegetable kits in my blog post. This Organic Vegetable Heirloom Seeds Kit comes in a gift box and will make the perfect Christmas gift for a gardening friend of yours. Even though the growing season for vegetables is coming to an end, heirloom seeds keep well in the fridge or freezer and you will be ready to go when the weather warms up next spring. This sweet little kit has all of your favorite popular heirloom varieties as well as a basic instruction sheet to get you going. My kit contained carrot, onion, corn, eggplant, cucumber, brandywine tomato (YUM! ), pepper, broccoli, lettuce and celery seeds. 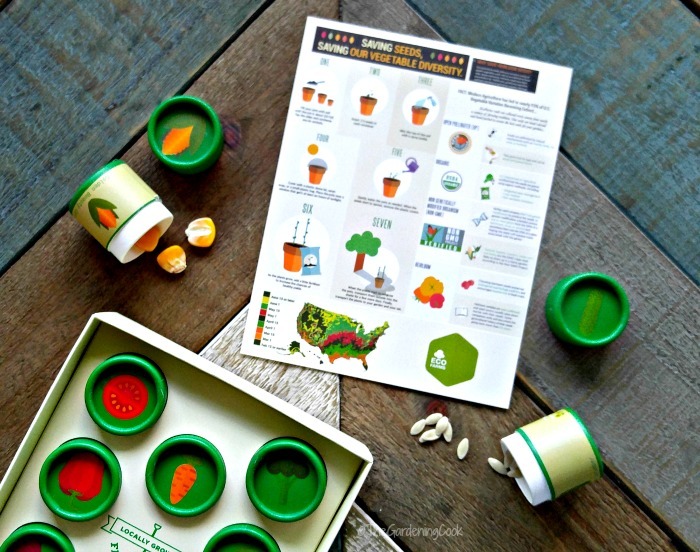 Growing plants from seeds is a wonderful project to do with your children. It introduces them to some basic planting experience and lets them watch in awe as their seedlings start to grow. 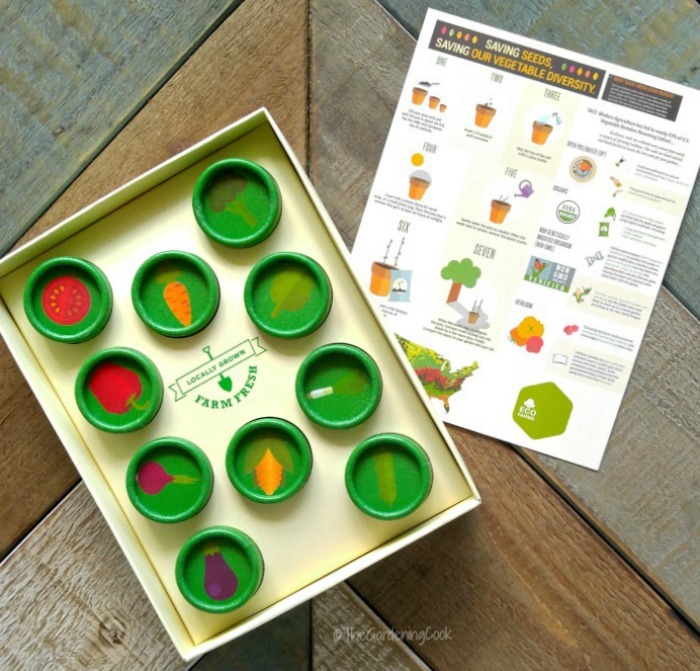 I bet you won’t have trouble getting the kids to eat these veggies! Why not try growing heirloom seeds indoors during the winter? I have written a whole article that deals with 20 seed starting tips. 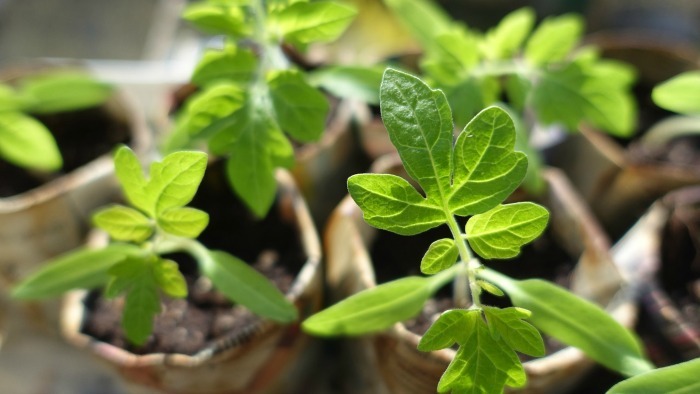 Growing seeds indoors in the winter gives you a head start on spring. Tips for Growing Heirloom Seeds. To get the seeds, either purchase from a reputable supplier or save your own seeds from heirloom vegetables that you have grown yourself. This tutorial shows how I saved my grandmother’s seeds. Only heirloom seeds will grow true to the parent. Hybrid seeds MAY grow into plants, but chances are good that they won’t look or taste like the parent plant in most cases. Choose the seeds wisely. If you save the seeds yourself, choose the healthiest, most productive and TASTIEST plants as your seed source. Store seeds carefully. Store in a sealed jar and try to keep the seeds dry. Silica gel packs work well for this job. You can also store the seeds in an air tight bag (best with the air removed as much as possible) and stored in the freezer. They will last for years this way. I keep mine in airtight containers in the fridge all the time. Peat Pellets have specially designed soil for starting seeds and are an easy way to get them going. See my tutorial about using them here. Be careful mixing varieties. If you have more than one heirloom variety of a plant, try planting just one during a growing season to prevent cross over traits. Label your seeds carefully. Most heirloom seeds will keep for about 3-5 years in a sealed glass jar. Label then well so that you know what the seeds are. Many look similar, so it is easy to get confused. Bring to room temperature before you try to plant. You would not want to take seeds right out of the freezer and put them in the ground. Give support to tall growing plants such as tomatoes. No matter how great a variety of heirloom vegetable it is, common planting procedures are important. 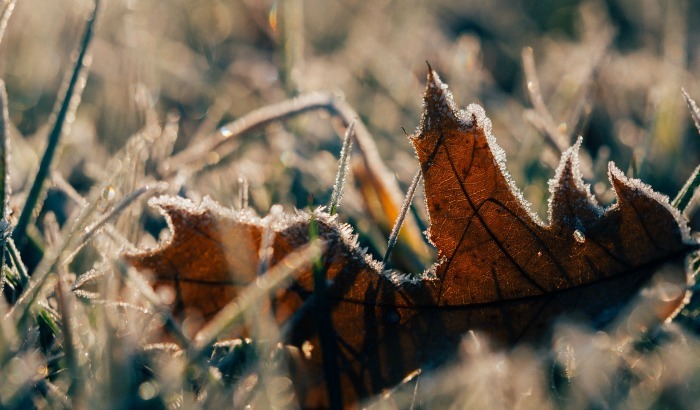 Knowing your dates for first and last frost dates will insure that you don’t lose seeds from plants after the last frost, or plant them too early in the spring. To try your hand at growing heirloom seeds, please visit my sponsor EcoFarms on Amazon. The price of their heirloom seeds kit is reduced right now, which makes it a perfect choice for a Christmas gift for your gardening friend. For more gardening tips, please visit my Gardening Ideas board on Pinterest. Disclosure of Material Connection: This is a "sponsored post." One of the companies who sponsored it compensated me via a cash payment, gift, or something else of value to write it. Regardless, I only recommend products or services I use personally and believe will be good for my readers. I am disclosing this in accordance with the Federal Trade Commission's 16 CFR, Part 255: "Guides Concerning the Use of Endorsements and Testimonials in Advertising." Thanks for advice. I have a garden at our community health clinic to provide fresh free veggies to patients. I am going HEIRLOOM this year. ALso, where can I get an heirloom seed kit!! Could I buy your grandma heirloom bean seed? The one your you are saving from your grandmother? Hello Irma. I am sorry but I do not sell any products.